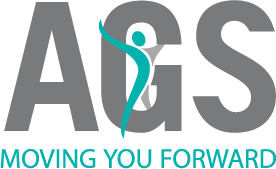 AGS was founded in 1999 by Addie Greco-Sanchez under the guiding principles of enhancing lives, maximizing potentials and successful outcomes for all. Over the years, AGS has evolved into a national organization of highly qualified and passionate people that deliver the most innovative and forward thinking health management solutions to everyone we serve. AGS Rehab Solutions is a leader in the expert provision of disability management, assessment and vocational solutions to insurers, employers, law firms and government agencies across Canada. We are recognized for assisting our clients in supporting health and productivity by delivering goal-oriented, customized services that meet their diverse needs, on time and on budget, while upholding the highest quality standards.